The European Union and its member states are major humanitarian donors. Humanitarian crises and disasters have increased in number, complexity and severity over the last 25 years. 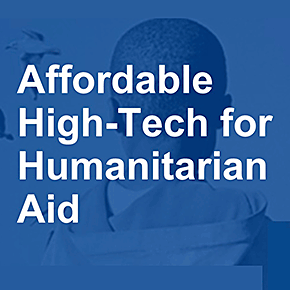 The challenge is to develop innovative solutions for the delivery of humanitarian aid based on frugal application of advanced technologies. Solutions should be developed through a frugal innovation approach, and should be novel and based on advanced technologies and services, demonstrating the added value and potential of one or more advanced technologies. The award will be awarded, after closure of the contest, to the contestants who, in the opinion of the jury, demonstrates a solution that best meets the following cumulative criteria.